If there’s one thing we love more than Easter candy, it’s emojis. 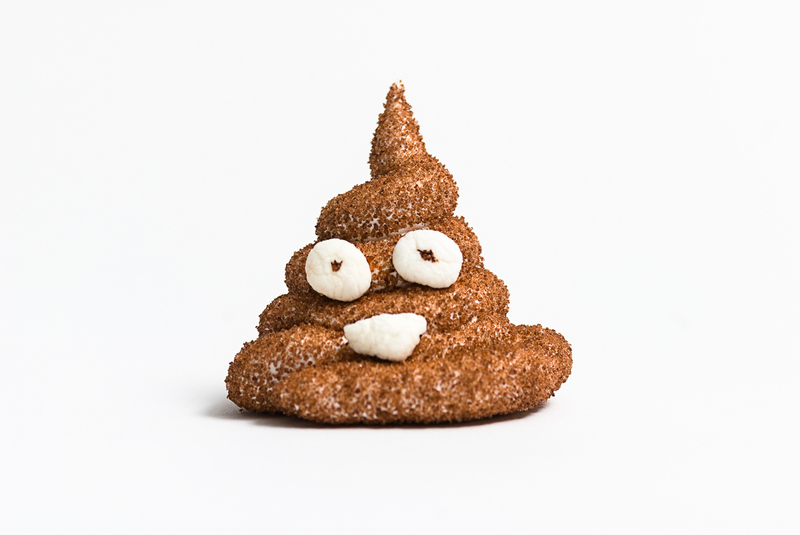 A food blogger just gave us the best of both worlds with his genius — but also gross — recipe for Poop Peeps. Yes, you can DIY your very own marshmallows that are shaped like the poop emoji! The recipe for Poop Peeps is actually pretty simple: whip up your own marshmallow batter at home (they’re not actual store-brand Peeps), squeeze it through a piping bag into a curly poop shape, dust them in a brown sugar coating, and then affix your own googly eyes. Voila — you’ve got the grossest snack the Easter Bunny has ever seen. Matthew Cetta, the blogger behind Nomageddon, believes he is the creator of poop-shaped marshmallow treats, as he’s never seen anything like it before. “I love wordplay and I just thought up Poop Peeps in the shower one day and thought it was hilarious,” he told HelloGiggles in a Facebook chat. Matthew currently has no other plans for emoji-shaped snacks, but perhaps inspiration will hit next time he showers.